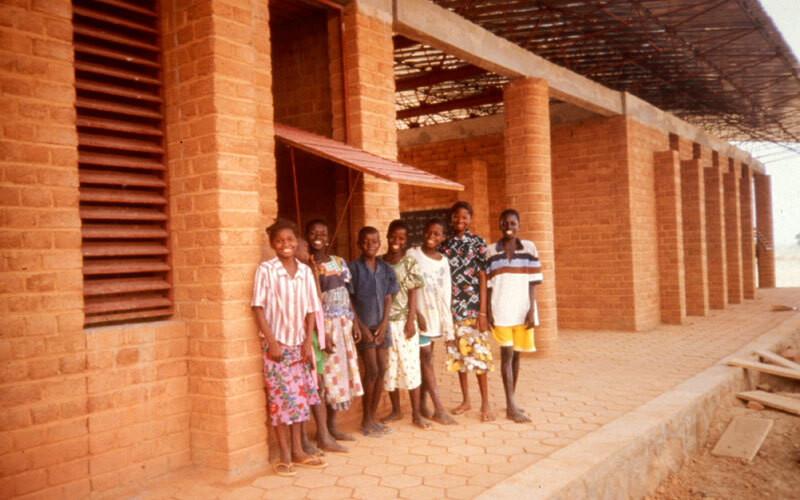 Exterior view, with lined up children before classroom. 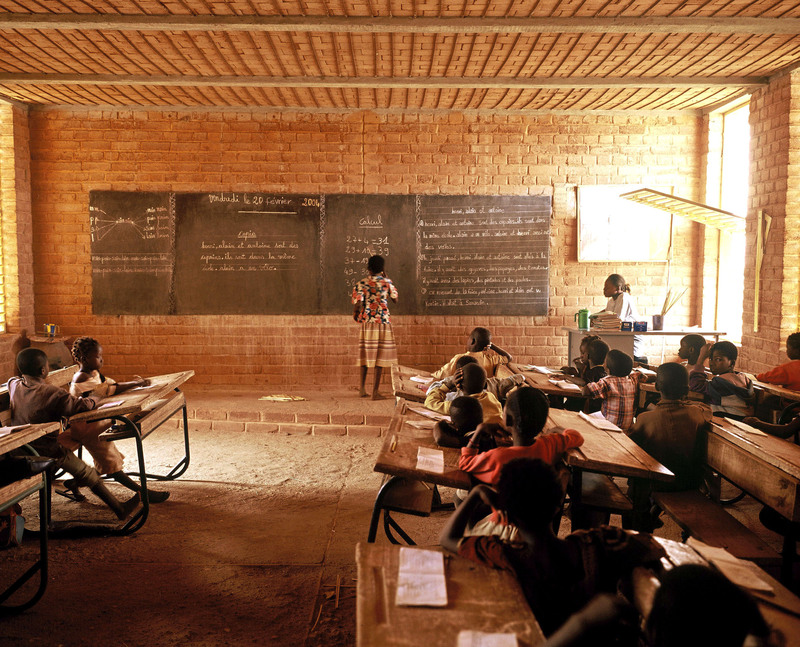 Primary School, Gando, Burkina Faso. 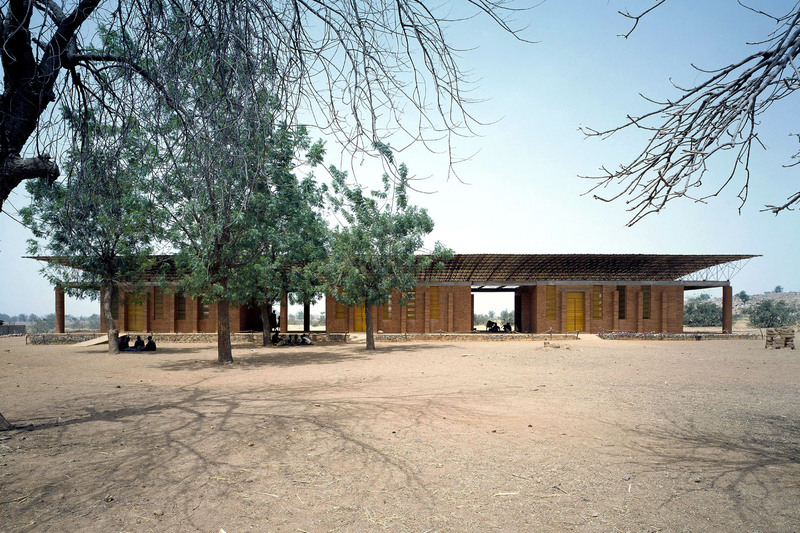 Primary School, Gando, Burkina Faso. Exterior view, with children. 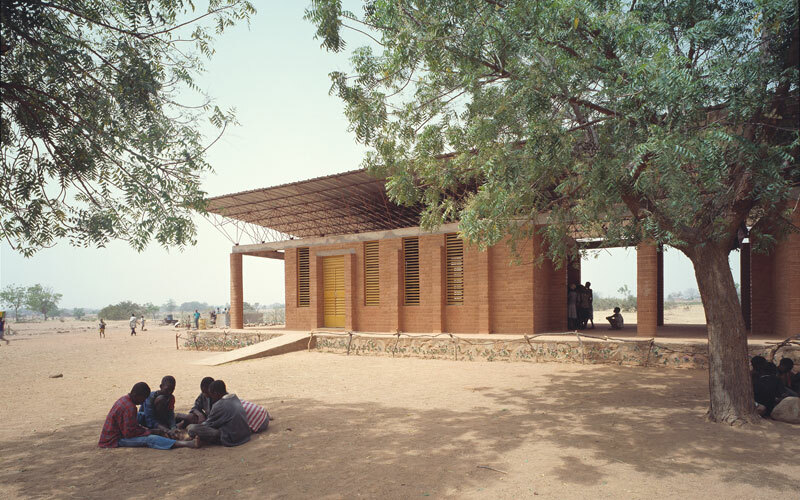 Primary School, Gando, Burkina Faso. Workers resting on shaded patio between classrooms. 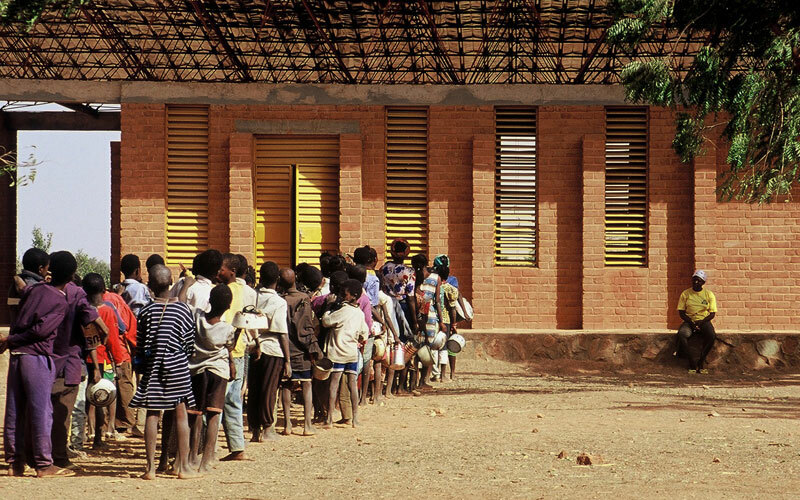 Primary School, Gando, Burkina Faso. 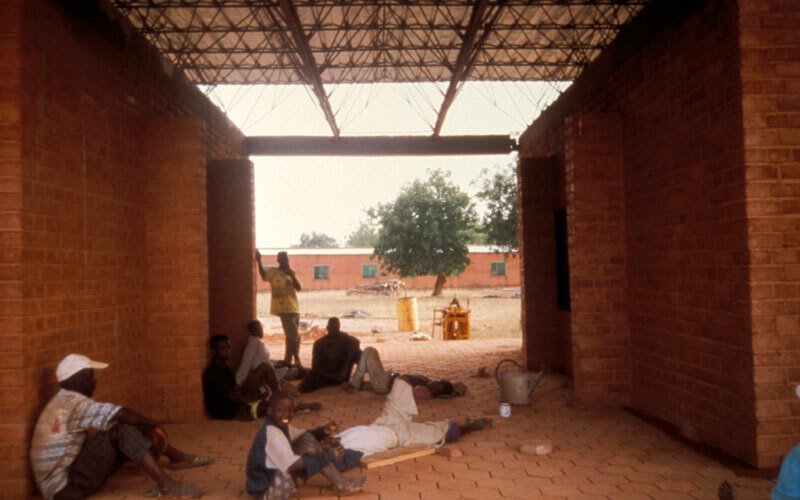 View of shaded patio between the western and central classrooms, with women and girls gathered around blackboard. 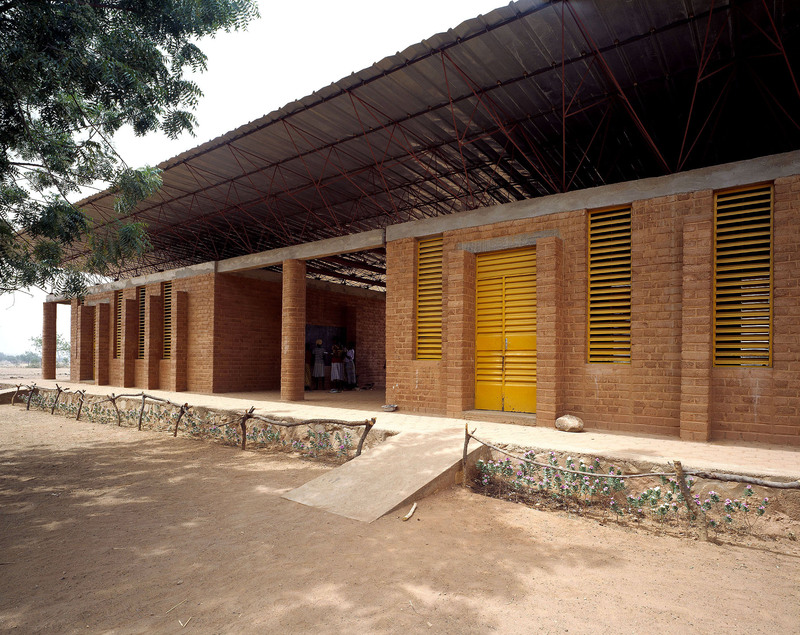 Primary School, Gando, Burkina Faso. 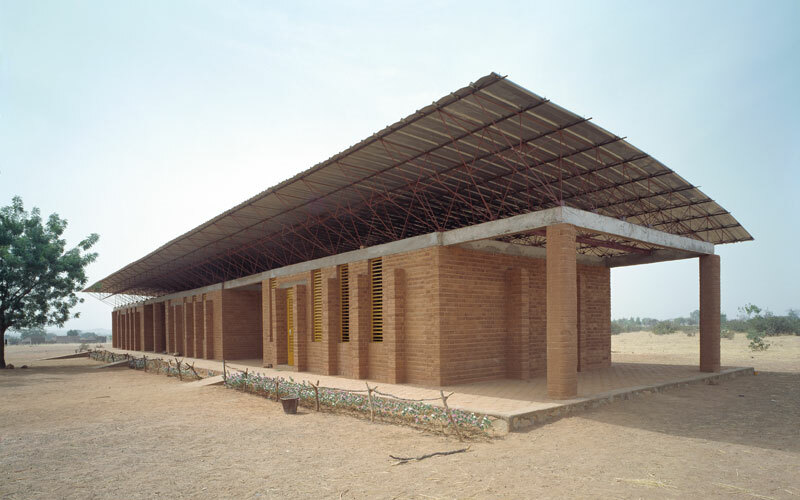 A primary school built cooperatively by a whole village community. 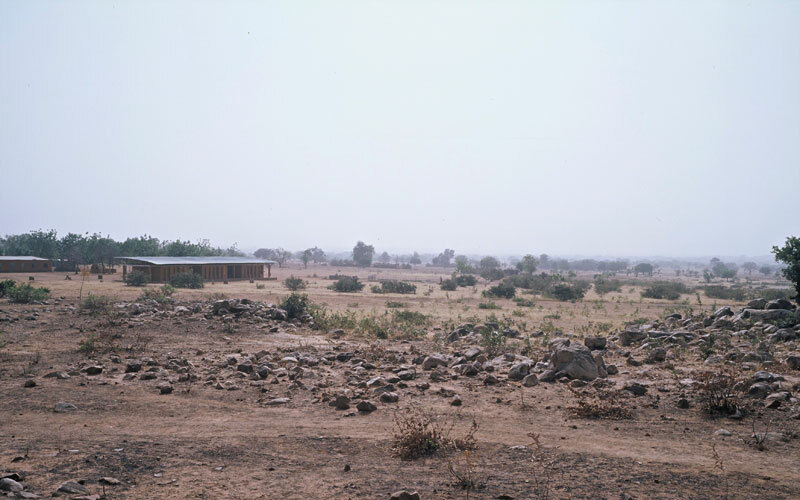 Its clay walls are topped with a double roof structure of adobe and tin that blocks the heat of the sun, making the inside up to six degrees cooler than it would be with tin alone. 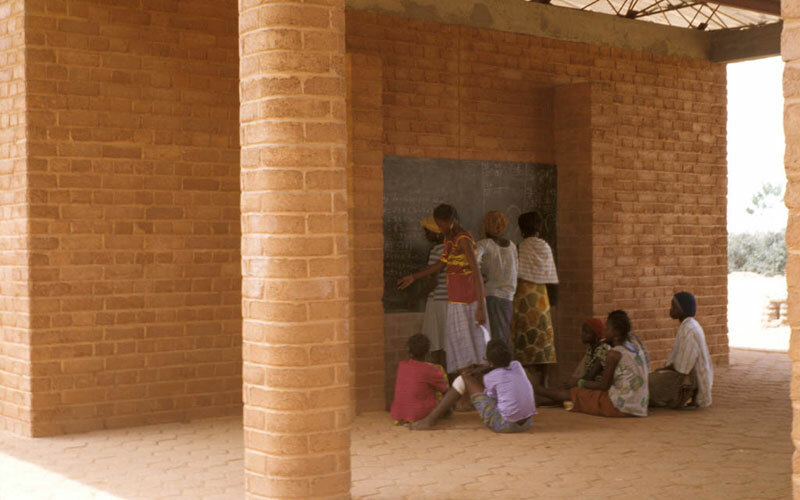 Inspired by this model, two neighbouring villages now have their own new schools, built entirely with their own labour and funded by community members living away from home.